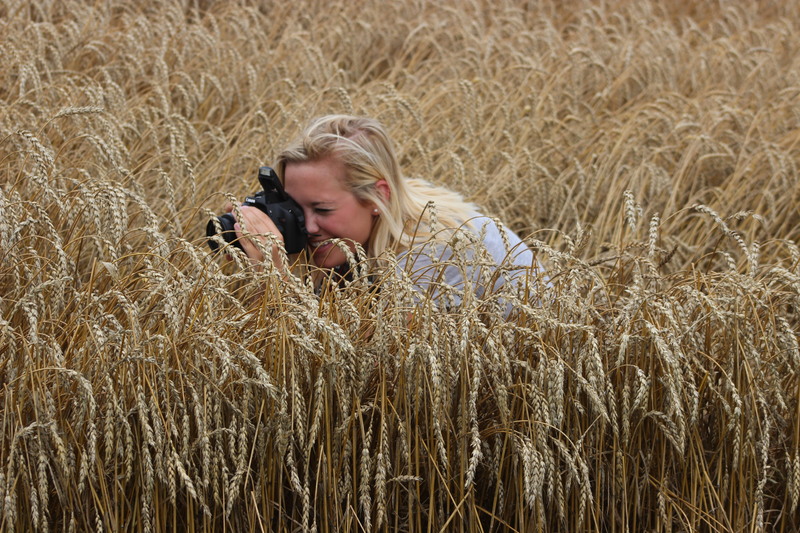 In November 2014 I began a one-year internship with Ohio Corn & Wheat and what an experience it has been! I worked as a part-time intern throughout the school-year and became full-time in May 2015 for the summer. This was my first full-time job experience! Ohio Corn & Wheat has provided me with opportunities that have allowed me to grow personally, professionally, and even academically. 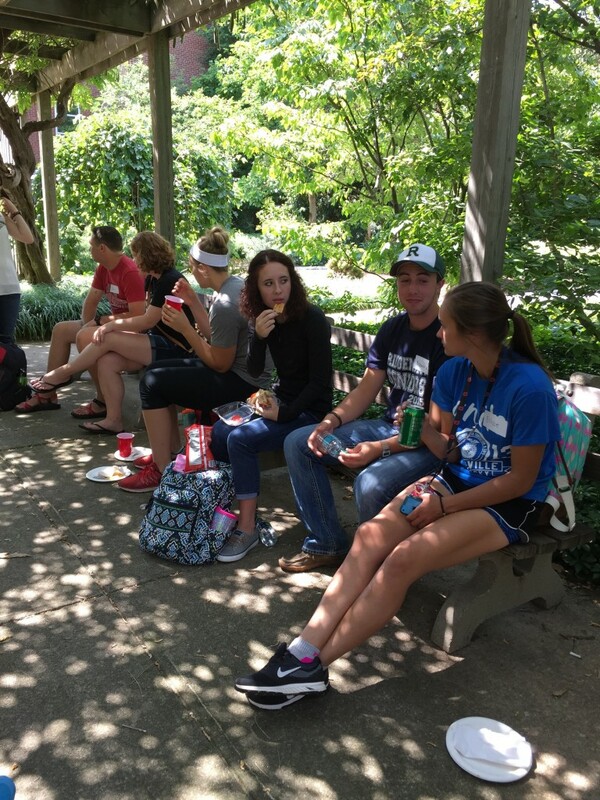 I’ve spent my time as an intern assisting the staff in various projects such as engagement at the Ohio FFA State Convention, preparing educational curriculum for teachers, working our booth at the Ohio State Fair, writing newsletters, and coordinating a trip to Washington D.C. for 10 of our collegiate members. I have attended several board meetings and have been lucky enough to interact with the farmers that serve as board of directors for Ohio Corn & Wheat. The opportunities to work with farmers, industry representatives, FFA members, teachers, and others involved in agriculture have assured me that I’m in the right field! 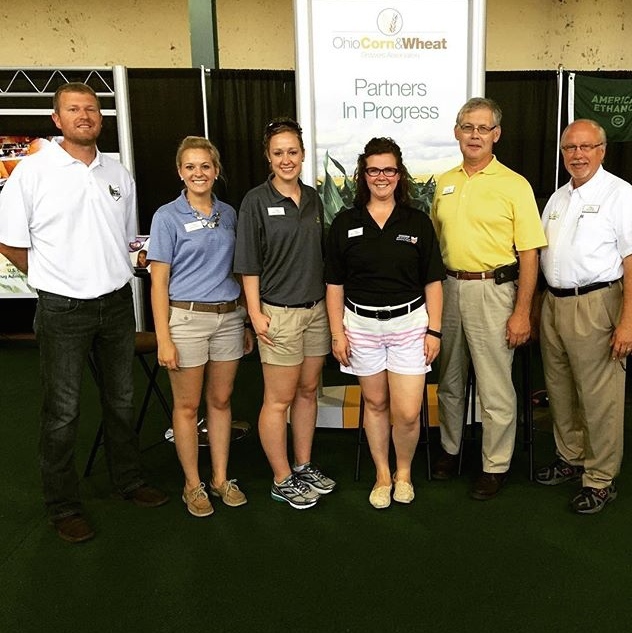 My internship with Ohio Corn & Wheat has been full of learning, growing, and discovering new knowledge, skills, interests, and connections. This valuable experience has left me feeling more prepared to educate students about agriculture in the future! Thanks Tadd, Ellen, Stacie, Brad, Jack, Lisa, Marge, and Ann for a great internship experience! This career event is open to all students. Come explore what opportunities are available for both internships and full time employment. Find the full list of registered companies that is being updated daily through your Hireabuckeye account. Please bring your Buck ID to check-in. Experience OSU for a Day Hosts Needed! 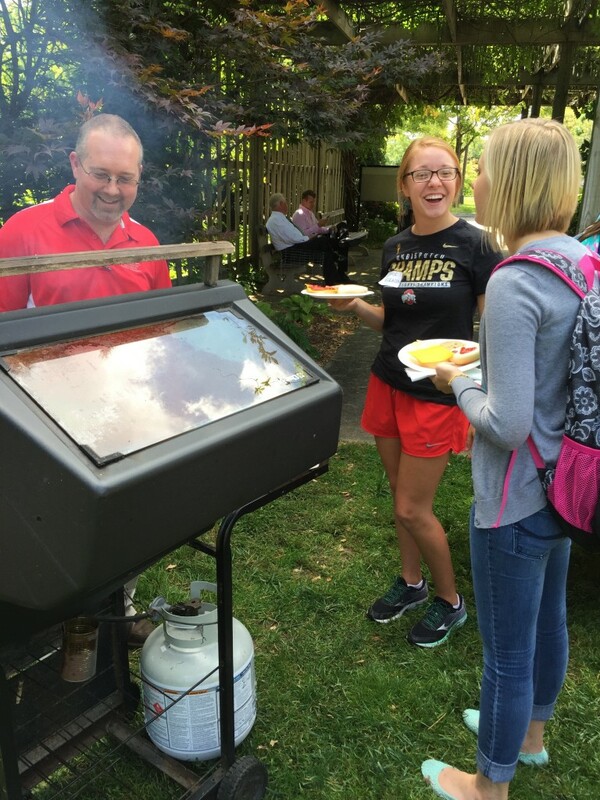 Do you enjoy sharing your passion for Ohio State with others? Would you be willing to show high school students what it is like to be a Buckeye? 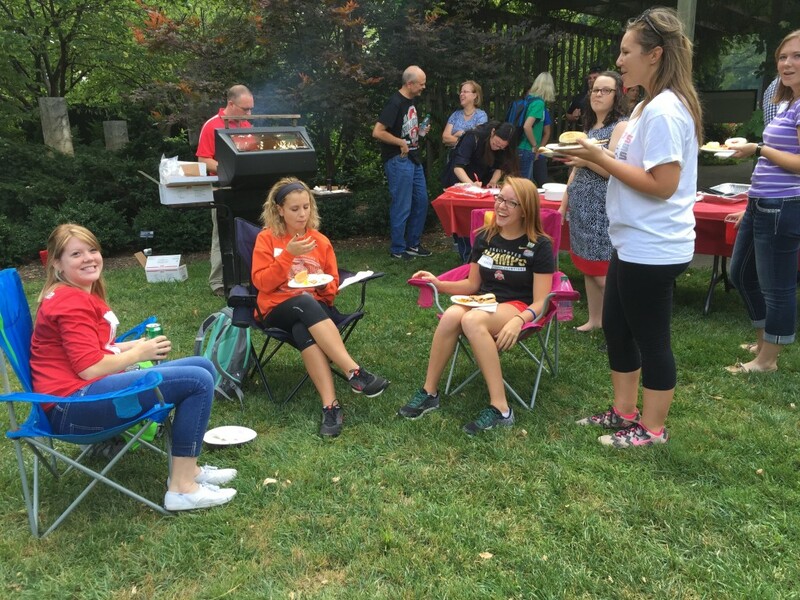 The “Experience OSU for a Day” (EOFD) Program allows prospective students to get a feel for what college is really like. 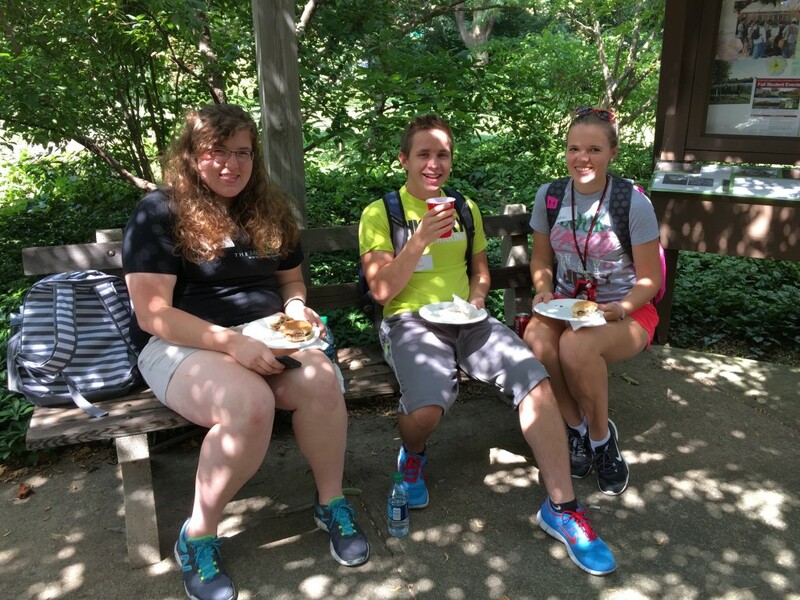 These students visit CFAES frequently, and we are in need of volunteers to show these students around campus when they come to visit. EOFD Hosts volunteer to have prospective high school students shadow them from 9:30 a.m. until 1 p.m. for 1-2 weekdays each semester. Hosting is very flexible and can be adjusted to fit your schedule. Hosts are encouraged to take their shadow(s) to see various classrooms, the Oval, the Union, a room in Norton House, and to eat lunch at Parker Dairy Store (lunch is free for the host and shadow). To sign up, simply fill out the form at http://go.osu.edu/eofd-hosts. If you have questions, feel free to contact Gary Klopfenstein atklopfenstein.40s@osu.edu. Internships & Jobs – All New!! This summer I was the Communications/Marketing Intern for COBA/Select Sires here in Columbus. I first learned about my internship at the Spring 2015 CFAES Career Expo and I am so glad that I did! This internship gave me a variety of new and fun experiences, from being a “cow photographer” to completing daily office work. 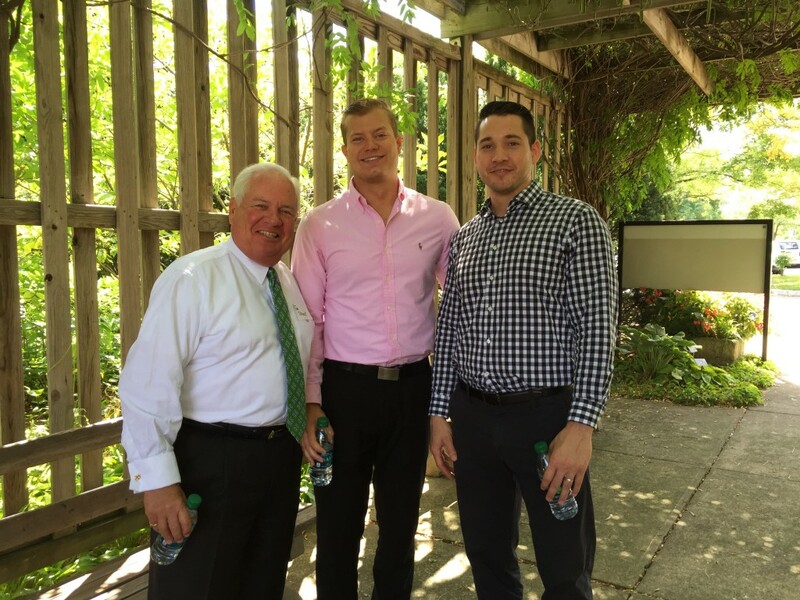 One of my favorite parts about my internship were the people I worked with, both in the office and out in the field. Everyone was super friendly and taught me all that they could, from my supervisor and the other communication assistants, to the technicians and sales managers I shadowed out in the field. I had a lot of fun utilizing my design and photography skills with several projects. I designed posters, postcards, advertisements, and countless flyers to send out to customers. One of my favorite projects was when I traveled home to Wayne County to take photos at a local farm in order to design a banner for the Dairy Twilight Tour. I also shadowed the A.I. technicians and I learned how to breed a cow! I learned how to update files, distribute mail, send out reports, and I even had the chance to experience Proof Week, where everyone in the office updated all of the price and product lists. I did a lot of printing and laminating that week! I can now say that I am a pro at running all sorts of office machinery. This summer was very enlightening for me. As a girl from a small beef farm, I did not know a lot about the dairy industry, and I can happily say that I do now! I also learned the real value of office work, because even if it is not the most glamorous job, it is still a very necessary and important part of any business. This internship also cemented the fact that my major, Agricultural Communication, is the right fit for me. I’m proud to be a Buckeye, because being a student at The Ohio State University gave me the chance to have a fun and educational summer! 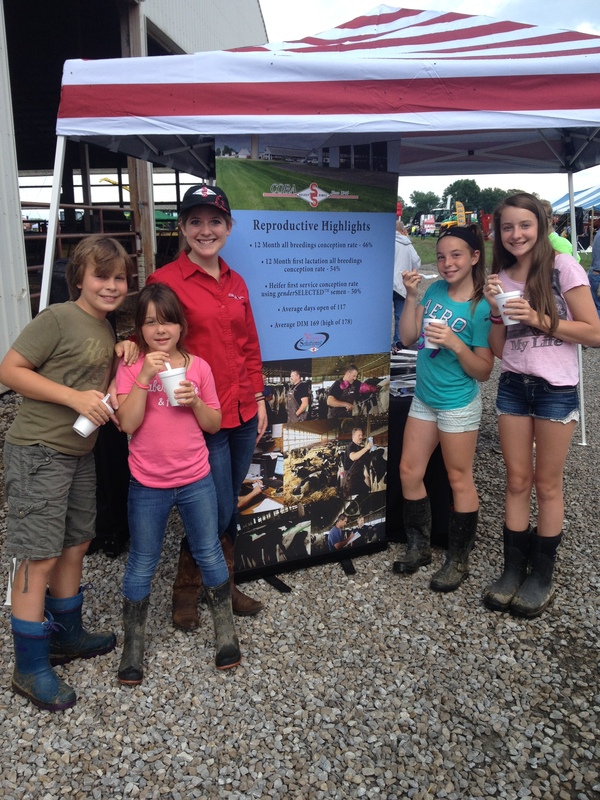 Students in the Department of Agricultural Communication, Education, and Leadership were very active at the 2015 Ohio State Fair. They held leadership positions on the Ohio State Junior Fairboard, organized and facilitated skillathons for 4-H youth, and served as agricultural ambassadors in the Ohio Farm Bureau Ag & Hort Building. 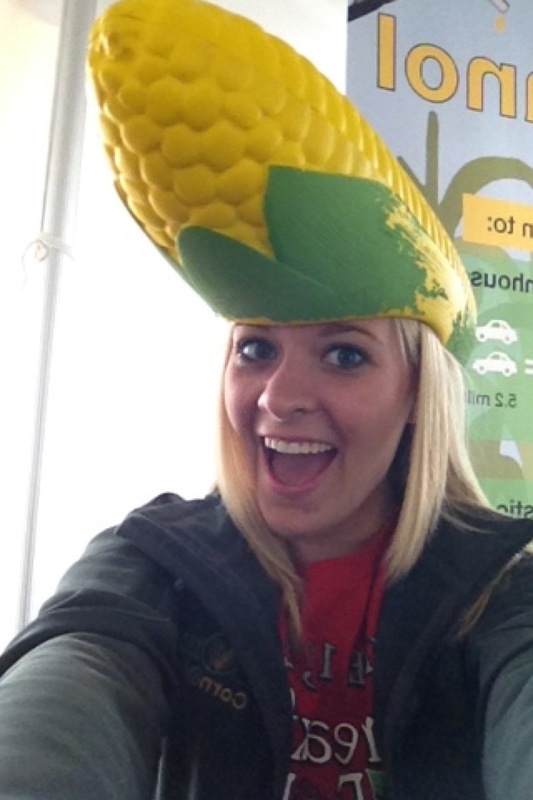 This week, Lauren Corry tells us about her experience as an agricultural ambassador with Ohio Farm Bureau. My favorite part of serving as an ambassador for the Ohio Farm Bureau Federation at the Ohio State Fair is hearing each person’s story. In my two years of serving as an ambassador, I have found that most people have something they want to share, and I just happen to be keen on listening. I have had the privilege to engage in conversation about a fair-goer’s choice of vegetarianism and another’s desire to find cage-free eggs. While manning the tractor simulator, I thoroughly enjoyed talking to an elderly man about his experience as a farmhand several years ago. While working photo op, a mother made my day thanking me graciously after I got her child to smile. One of my favorite moments was a pleasant surprise. A young girl, completely removed from our industry, was set on being a farmer when she grew up. These experiences serve as a way to continue a positive outlook on agriculture, and I am glad I had the opportunity to be a part of them. 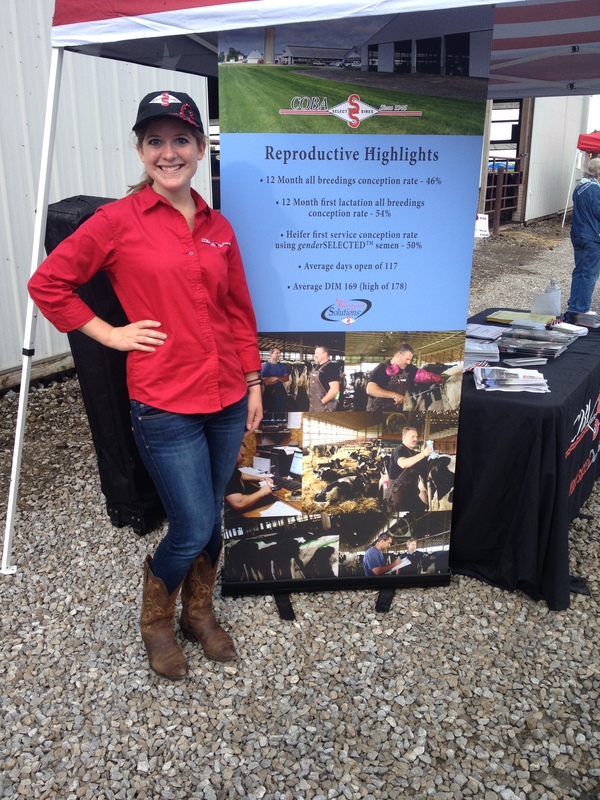 This week, Mandy Taylor tells us about her experience as an agricultural ambassador with Ohio Farm Bureau. I chose to become an ambassador in the Ohio Farm Bureau Ag & Hort building because I truly enjoy meeting new people, working with children, and sharing with them the importance of the agriculture industry. I knew that a large percentage of people who attend the Ohio State Fair have little to no understanding of agriculture and having the opportunity to discuss with them was eye opening and enjoyable! My favorite part of the experience was seeing kids faces when they learned a new fact about agriculture that intrigued them. 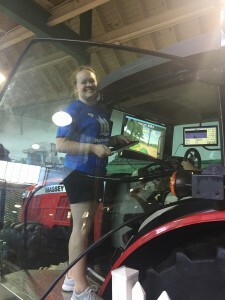 My favorite station was the new Tractor Simulator because most kids knew what a GPS was and were amazed when I told them that farmers use GPS navigating systems to drive the tractor. Most of the time, a parent had a surprised reaction as well! Being an ambassador helped me become further interested in sharing the story of agriculture with the general public! 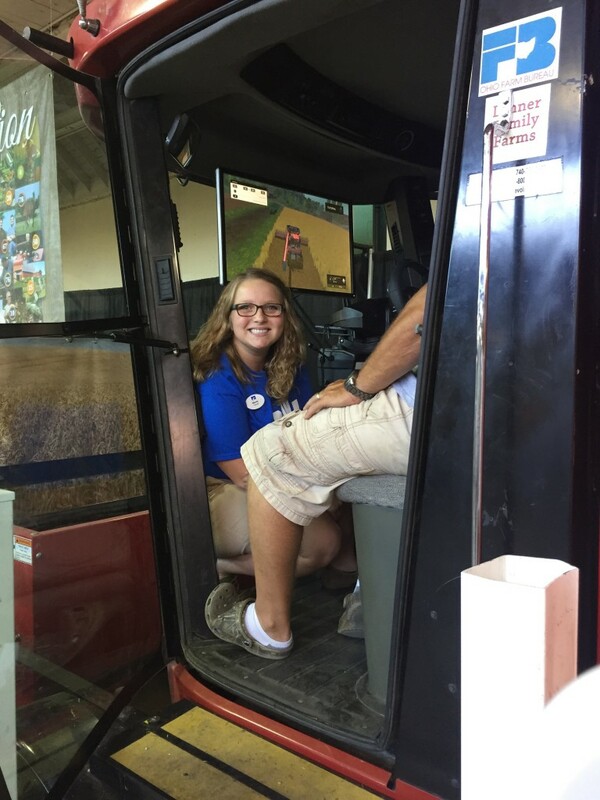 Mandy helps two fair visitors drive the combine simulator in the OFBF Ag & Hort Building. Do you feel that you are a leader or possess exceptional leadership skills? Are you searching to strengthen your soft skills and industry knowledge or network? AFA Leaders Conference is a high intensity and highly passionate atmosphere over a four day conference for collegiate leaders in the agricultural industry across the country. AFA Leaders Conference is held in Kansas City, MO from November 5-8. Online applications are due September 11 and can be found here. The application is very robust and competitive. Time and effort are needed to have a successful application.Experience OSU for a Day Hosts Needed! EOFD Hosts volunteer to have prospective high school students shadow them from 9:30 a.m. until 1 p.m. for 1-2 weekdays each semester. Hosting is very flexible and can be adjusted to fit your schedule. Hosts are encouraged to take their shadow(s) to see various classrooms, the Oval, the Union, a room in Norton House, and to eat lunch at Parker Dairy Store (lunch is free for the host and shadow). To sign up, simply fill out the form at http://go.osu.edu/eofd-hosts. If you have questions, feel free to contact Gary Klopfenstein at klopfenstein.40s@osu.edu. 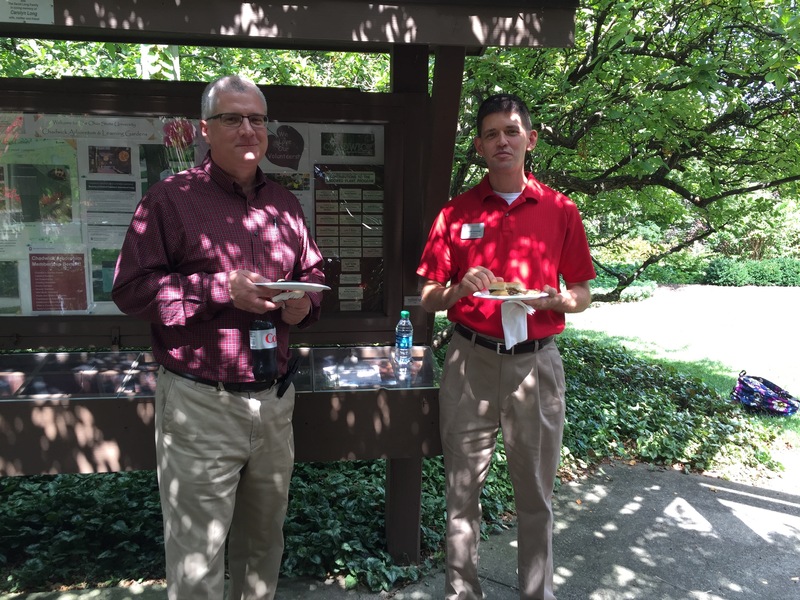 WANTED: 2016 CFAES Recognition Program Co-Chairs! 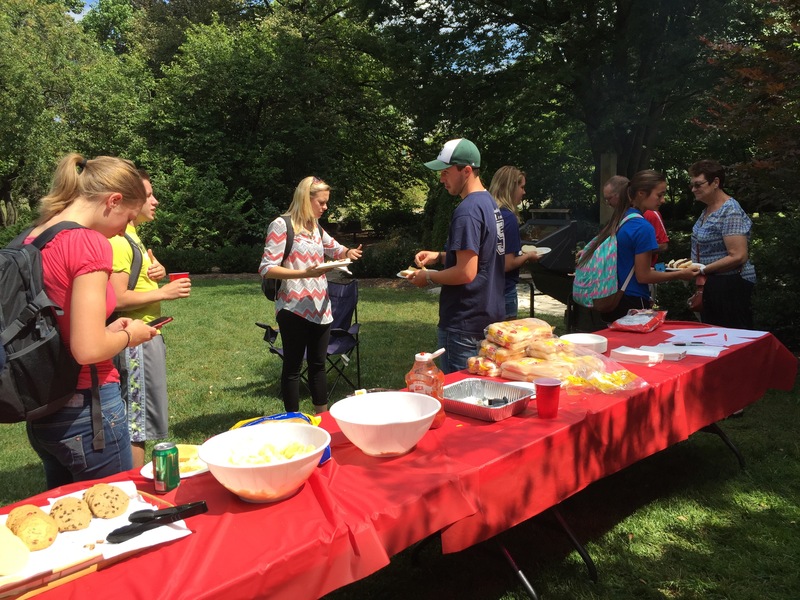 Although the semester is just starting, it’s not too early to start preparing for the 2016 CFAES Recognition Program! This event is a highlight of the academic year, and celebrates success in our College – our students, faculty, staff and others outside the university who help our students, both academically and in extra-curricular ways. The co-chairs for this event have an exciting opportunity to lead a group of highly-motivated peers to produce one of the largest student-run events at OSU! If you have experience in leading students and in event planning, consider this opportunity. Previous experience on the Recognition Program Committee is desired, but not compulsory. Apply at go.osu.edu/co-chair-application by September 15 at 5:00 p.m. Interviews will be held at the CFAES Council meeting on September 17 at 5:30 p.m. Questions? Contact Dr. Marilyn Trefz trefz.2@osu.edu or Dr. Warren Flood flood.13@osu.edu. Is ag ed teaching in your future? Vertical Farms: The Future of Agriculture? 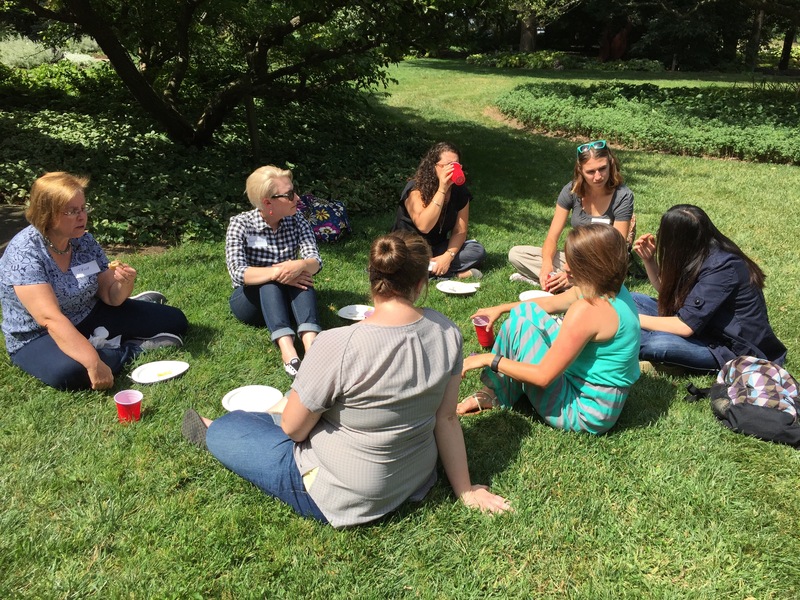 On Friday, August 28, ACEL hosted a cookout for new and returning students, faculty and staff in the Chadwick Arboretum. 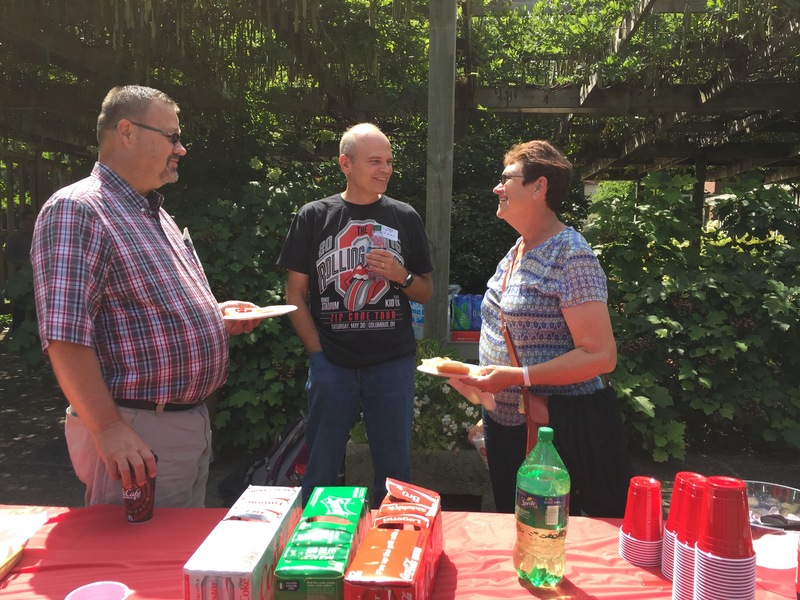 Students new to the Columbus campus were able to get to know faculty and staff members, while returning students were able to reconnect with those they hadn’t seen over the summer.